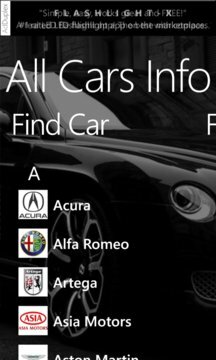 "All Cars Info" has the latest and most current information about automobiles. Here you can find not only new models of the popular automakers but also their history over the years. Auto features are classified into a quite efficient way, so search of parameters will take only a few moments. If you want this application without adds, you can find paid version in the market. 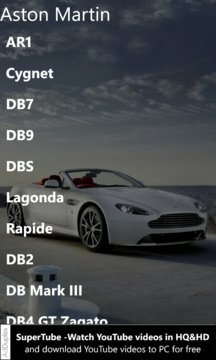 "All Cars Info" shows a cars' classification by the type of the body, containing also photos for each type, which you will not find in any other application of this kind.